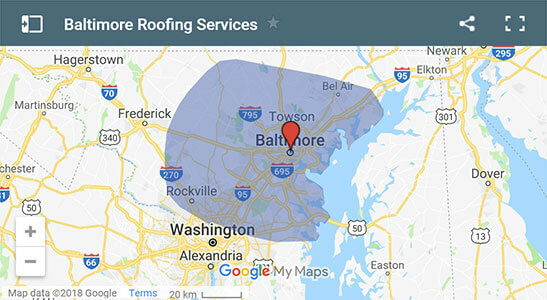 We are a local roofing company in located in Baltimore, MD that has assisted homeowners in protecting their home with professional equipment, products, and standards for all their roofing needs. We offer only the best of services using an experienced team of roofers with years in the industry- fully licensed and insured by the State of Maryland. We provide residential & commercial services as an A+ rated company from the Better Business Bureau. Our company is committed to 100% customer satisfaction- guaranteed. In this competitive market, homeowners expect two things: quality designs and styles, and a value vs costs ratio that they can depend on. Our roofing company assists homeowners in finding this medium with materials varying from premium roofing shingles, slate, and metal roofs. Our advantage is utilizing our very popular and cost efficient CertainTeed & GAF products and systems with every type of style at your disposal, offer free estimates on call and appointment, product catalogs and consultation, specified warranties, and experienced roofers to handle all installations and repair work. Our services are complete with everything you need for a successful roofing project, including repairs, installations, replacements, and contracts for new construction homes and buildings. 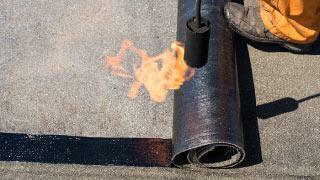 We cover all aspects for business owners as well using flat roof and tar materials for your industrial building. Learn more about our commercial specific services. 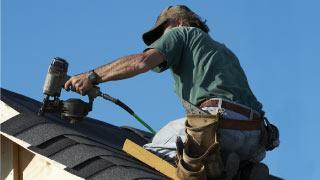 For homeowners, families, or renters, our residential roofing services accommodate every aspect of today's industry. We utilize both CertainTeed and GAF products with various styles, textures, and colors for you to choose from. Each customer gets personalized attention and details on how to properly choose the best choice for budget, design, as well as increasing property value. For businesses, firms, or property managers, our commercial roofing encompasses and defines longevity and protection from the elements. Our company is well known in the contracting industry for flat tar roofing, which includes molding and sealing for any masonry cove joints such as bricks. Due to our years of experience we have a mess-free policy with our employees that give a very professional finishing. When a storm damages your roof, or the elements have begun to wilt some of your shingles, there are options for repairing your roof. Though not a common service, we do match products and textures to help keep the overall appeal of your roof in tact, while addressing the major flaws in the shingle. Fixing and restoring roofs is more of an art that our company is able to provide with efficiency. Competitive estimate and stayed to it with my roof replacement. Your home improvement services made our home look brand new with its new roofing and flashing system! Our service area consists of many cities and towns in surrounding areas of Maryland, stretching from immediate metro of Baltimore including Towson, Dundalk, Middle River, White Marsh, and Glen Burnie, to southern areas of Bowie, Rockville, and Gaithersburg. Northern areas include Bel Air, Fallston, Cockeysville, and surrounding areas.